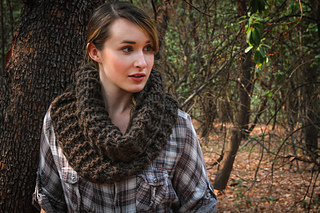 Claire's Cowl is a free pattern new for Outlander Series 2. 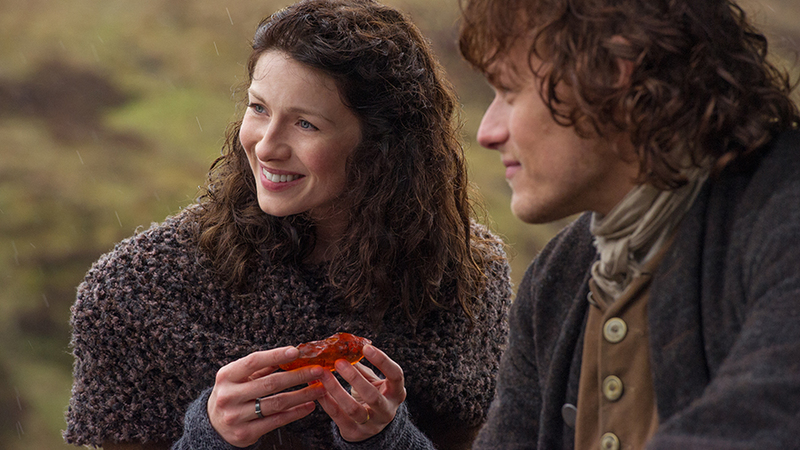 Claire's shawl pattern is here. 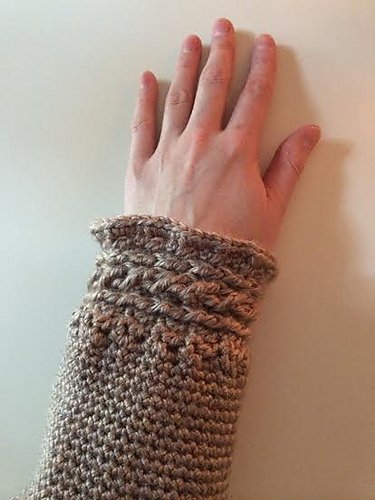 Katherine Moody's Outlander Cranesmuir crochet gauntlets seem just the thing for chilly spring mornings and require Lion Brand Heartland Aran weight yarn and an H hook (5mm). 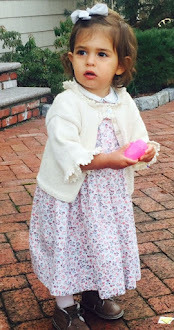 The fingerless mitts pattern is free here. Katherine's crochet pattern for Castle sleeves is also another interesting Outlander-inspired pattern and very nice choice for your next sweater or jacket crochet design. 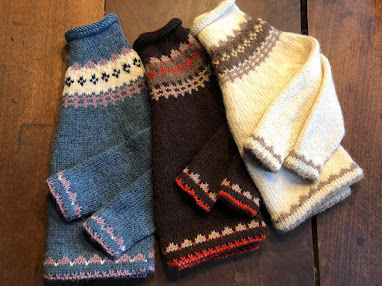 Mrs. Fitz's "Outlander" wristwarmers are the creation of Pollyfoofoo and a free pattern on her blog. 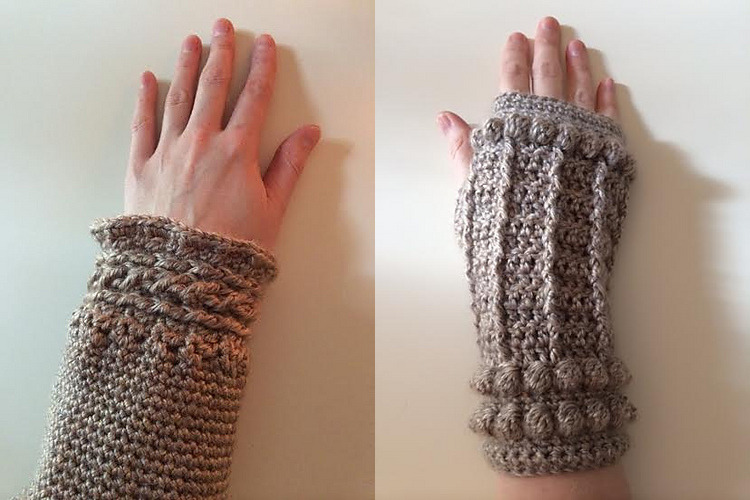 She has included free patterns using both bulky and worsted weight yarns in her crochet pattern for these charming gauntlets.